I’ve been feeling crabby lately. A couple of times in the last month I’ve gotten home and said to Will “I’ve got 3 hours to relax” and then instantly dissolved into a puddle of stress. It doesn’t help that I don’t feel like I’m getting enough exercise. Mac & Cheese can be so comforting but eating poorly would only add to the stress. I bring you my deluxe mac and cheese. Creamy and starchy enough to sooth, nutritious enough to not layer on guilt, easy enough not to create more stress. – Start a pot of salted water over high heat for the pasta. – Chop broccoli and set aside. – Chop steak up fine and fry really hot to get a good brown sear. – Add chopped up onion, butter salt and pepper. – Meanwhile cooking the pasta. Set a timer for 1-2 min less than the noodle cooking time, then add broccoli. Let it return to a boil and then strain pasta and broccoli. Set aside. – To the onion and steak, add garlic (powder or fresh). Add the cheese packets from the boxes along with the milk. 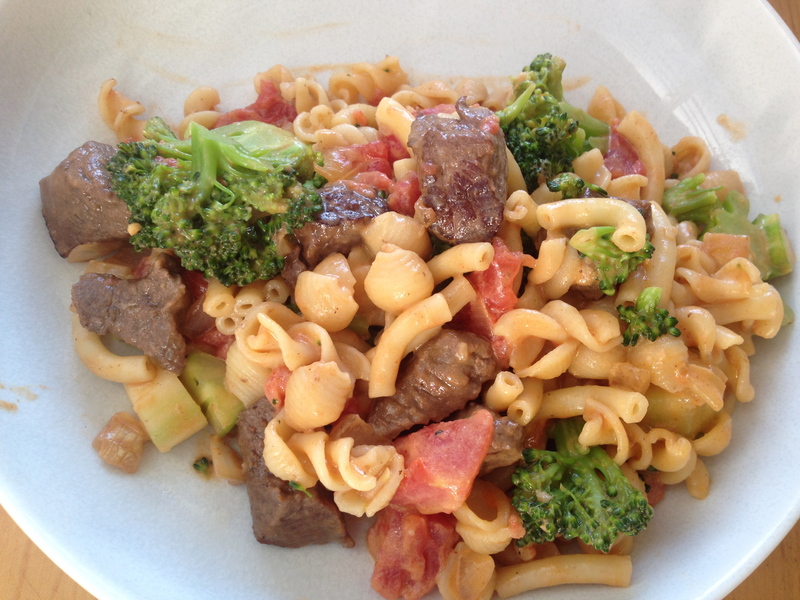 Once all creamy and mixed, add pasta and broccoli. Add diced tomatoes. – I like to finish it off with Worcestershire and Sriracha sauce. 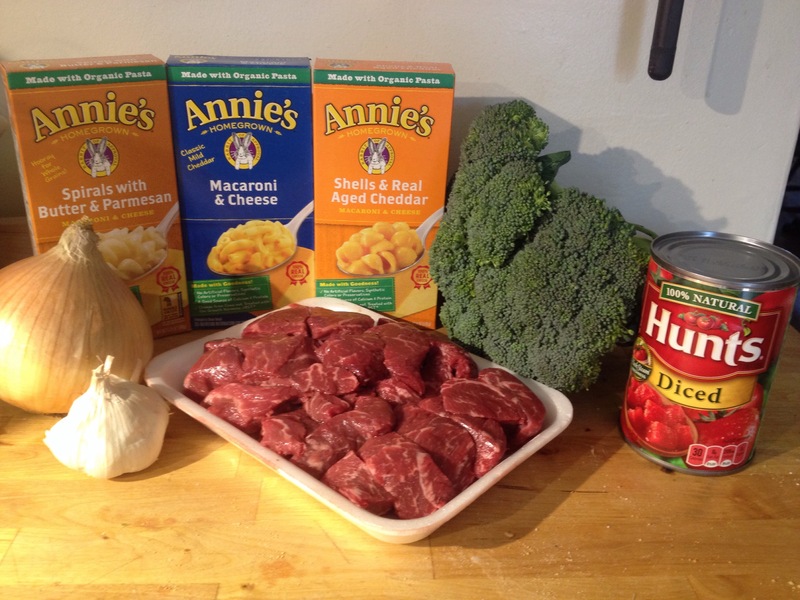 This entry was posted in Kym Cooked and tagged comfort food, easy cooking, mac & cheese. Bookmark the permalink.